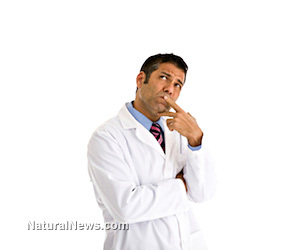 Should bioethicist be liable for promoting vaccine injury and death? Tuesday, June 04, 2013 by: Alan Phillips, J.D. (NaturalNews) Bioethicist Art Caplan, Ph.D. of New York University has argued that parents of unvaccinated children should be held liable for illness or death allegedly caused by their unvaccinated children. This article rebuts Caplan's position, and explains why liability should fall, if with anyone on this issue, on him, for the deliberate or negligent use of his academic status and authority, supported by false information, to promote a flawed vaccine policy resulting in avoidable vaccine injury and death. Assuming that vaccines work (a flawed assumption, since 90-95% of infectious disease decline preceded vaccines, some vaccines temporarily reversed preexisting declines, and outbreaks routinely occur in highly vaccinated populations), this more fundamental ethical question concerning vaccine injury and death is, at best with regard to Dr. C's parent liability issue, one on which reasonable people could disagree. On that basis alone, Dr. Caplan's parent liability issue crumbles to dust. But we've only scratched the surface. Since 90% or more of vaccine adverse events are never even reported, according to the CDC, FDA and AAPS--more than 99% according to former FDA Commissioner David Kessler, we have no idea what the true scope of vaccine injury and death really is. Clearly, then, there's no objective basis for mandating vaccines at all (let alone holding anyone liable for not vaccinating), because no one can tell you if they provide a net benefit to society at all, let alone if they are safe for *your* child in particular. So again, for this reason, we don't even reach Dr. Caplan's parental liability concern. Look - there's no 100% safe option. Life is, by definition, unpredictable. Both vaccines and infectious diseases can injure and kill. But in the absence of adequate data to enable a credible comparison, Dr. Caplan lacks a legitimate basis for raising the question about parental liability altogether. But even if vaccines were proven to provide a net benefit, the ethical question about whether or not any given parent should be required to risk sacrificing their child for the benefit of the community remains valid. Many of us would, given the opportunity and complete information, would opt to take reasonable steps to protect others, and those steps could include vaccinating. That's fine, if it's an informed choice. But just as clearly, others would refuse. Both are ethically viable responses. 1) "Vaccines are 92 - 95% effective. "However, the CDC says that vaccines are 85 - 95% effective, and that the majority of disease outbreaks occur in vaccinated children. The flu vaccine, which Dr. Caplan also discussed but did not distinguish from other vaccines with regard to efficacy, is only 60% effective according to a recent Lancet study, and even that figure has been refuted by medical experts and peer-reviewed medical studies. Even the CDC admitted, last year, that vaccine exemptions were not responsible for recent pertussis outbreaks.2) "Newborns have no immunity. "This is misleading. Historically, mothers passed protective antibodies to their infants through breast milk that these mothers acquired from their own childhood illnesses. In more modern times, mothers lack natural antibodies to pass on to their infants due to their having been vaccinated as children (since vaccine immunity, unlike natural immunity, is only temporary). So, if newborns are vulnerable, we have vaccines to thank for that. But today's infants lack of immunity doesn't mean that these divine little beings should be required to risk injury or death from a vaccine. There are other more effective, safer, and less costly ways of dealing with infectious disease concerns. Based on the CDC's assertions about vaccine efficacy, you could have 100% vaccination coverage, something Dr. Caplan admits is not realistic, and still not achieve the immunity level required for herd immunity with at least some vaccines (it is clearly impossible to achieve herd immunity with the flu vaccine). But if you examine the medical literature over time, you see that the immunization level required to achieve herd immunity has been a moving target. The number has continually gone up over recent decades as outbreaks have occurred in increasingly more vaccinated populations. The only thing driving a possible consensus on vaccination rates needed for herd immunity, then, is industry profits; the higher the immunization rate needed for herd immunity, the more pressure there is to vaccinate more people. However, the truth is, no one knows what immunization rate, if any, will ever impart true "herd" immunity, as the entire theory has been repeatedly called into question if not outright disproven. There have been ongoing documented outbreaks in highly vaccinated groups. The CDC even documented a measles outbreak in a 100% vaccinated population. A meta study looking at multiple studies documenting outbreaks in highly vaccinated populations concluded that the higher the immunization rate for measles, the more measles becomes a disease of vaccinated populations. Herd immunity is a flawed, disproven theory perpetuated for the sole purpose of supporting a highly profitable vaccine industry. Mainstream medicine clings to the failed theory because is provides the one explanation as to why, with vaccines, you don't get to decide what goes into your body - why *you* have to get vaccinated to protect *others*--and *they* to protect *you* too, of course. Herd immunity may be a real phenomenon with natural infectious disease, but it is completely unreliable with vaccines.